Ah, summer! 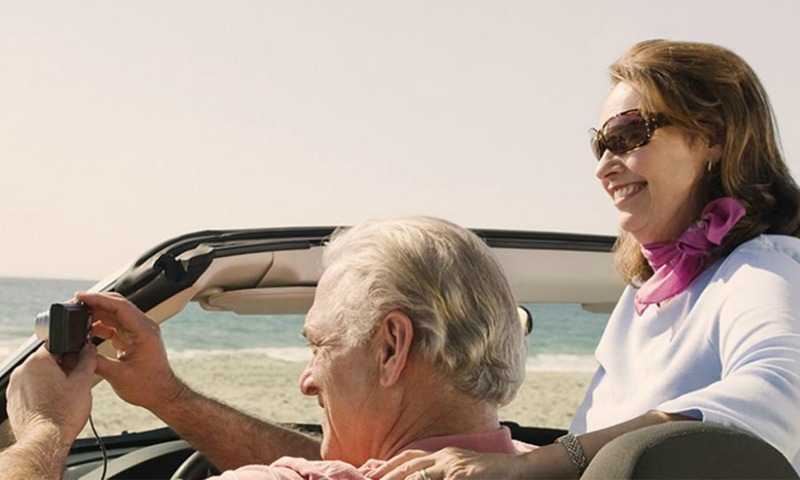 The perfect season for an evening cruise along the beach or a long vacation road trip. It may feel carefree, but when it gets really hot out, consider the condition of your vehicle. Are you prepared for whatever might arise? Follow these driving tips to prepare your vehicle for what lies on the road ahead. Check the levels of all the vehicle’s vital fluids, including motor oil, antifreeze, transmission fluid and windshield wiper fluid and top off, or change them as needed. Pay special attention to the motor oil since it helps keep the engine cool and helps prevent the moving parts in your engine from grinding. Also, make sure to change your oil regularly, referencing your owner’s manual for the appropriate oil change schedule. Keep a gallon of distilled water in the trunk of your vehicle. If your vehicle starts to overheat, pour the water into the radiator to temporarily cool it down until you can get to a service station. But don’t open the radiator cap until the vehicle has cooled down. The cap pressurizes the system to raise the boiling point. If you were to release this pressure before the engine cooled, hot fluid could boil, spout out and cause serious burns. Most vehicles have an unpressurized coolant reservoir, usually a plastic bottle, that can be a safer place to add fluid. Spray the radiator grill with a hose when you wash your vehicle to remove debris and to ensure air flows freely through to your air conditioner. Over time, dirt, bugs, leaves and other debris can collect in front of your vehicle’s radiator and interfere with the cooling system. Check the pressure and wear on your tires, including the spare. Overinflation or underinflation can weaken your tires, cause uneven tread wear, and impact your gas mileage. Many drivers think the proper tire pressure can be found on your actual tire; however, that’s incorrect. The pressure listed there is the tiremaker’s maximum, which often differs from what your vehicle requires. Refer to your vehicle owner’s manual or to a decal often found in the doorjamb or glove compartment for the proper tire pressure. Check the pressure when the tire is cold (air temperature). After an extended drive on the highway or after driving for more than five minutes, the tire gets warm and the pressure reading will be higher. Rotate and balance your tires before your trip so they wear evenly. The penny test will show you if it’s time for a tire to be replaced. Just place a penny in between two of the treads, with the top of Lincoln’s head pointed down toward the tire. If you can see all of Abe Lincoln’s head, the tire should be changed. Make sure headlights, taillights, turn signals, parking lights and license plate lights are all working. Replace any bulbs that may have burned out. Also, ensure wiper blades are in good condition in case you run into any unexpected storms. Visually inspect your vehicle’s belts, tubes and hoses, replacing any that are cracked or leaking.